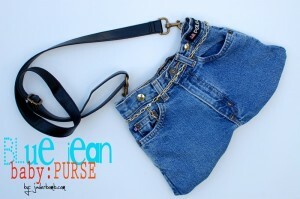 If there is one thing I’ve learned after highlighting so many wonderful, recycled denim projects over the last few months, it’s that no two denim jean purses tutorials are ever the same. 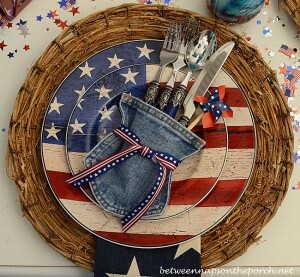 I am amazed by all the styles and designs the talented Bloggers and Crafters in Blogland create. 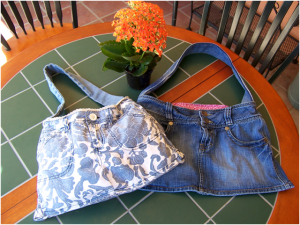 Todays denim purse/bag has to be one of my faves, for sure! 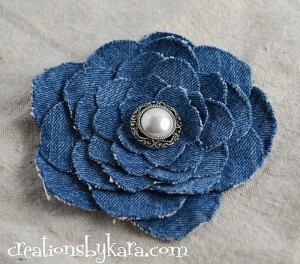 I love the bright colors, especially the way the red flower looks with the blue of the denim. 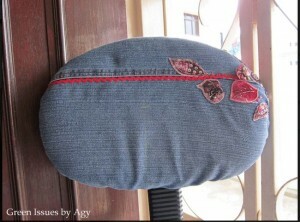 Tai who blogs at Taidye Original has been saving old jeans and old corduroy pants that were too small, stained or torn for a long time. 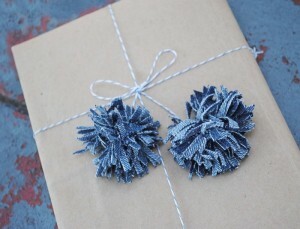 She knew they were diamonds in the rough, just waiting to be turned into something fabulous. 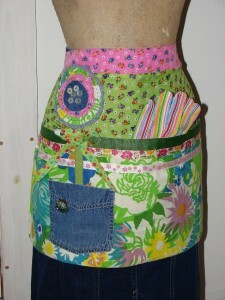 Such a great combination, mixing those two fabrics…and look at the results! 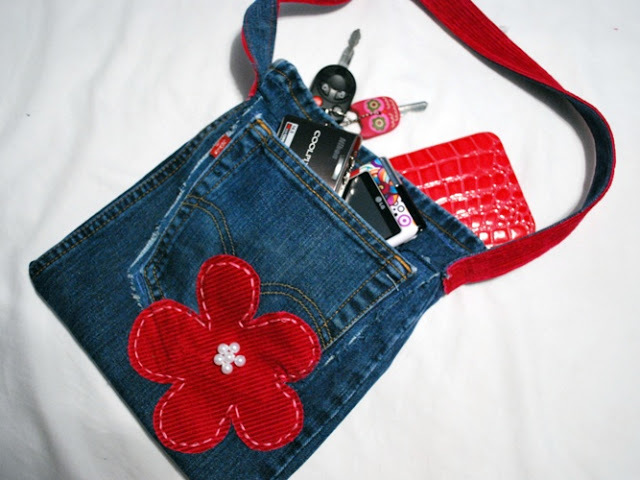 This would be an adorable purse for a little girl, it’s the perfect size. 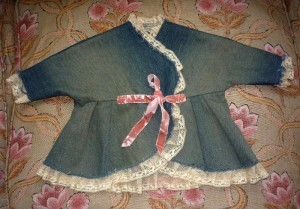 Such a great recycled denim project! The red flower absolutely makes the bag, doesn’t it?! 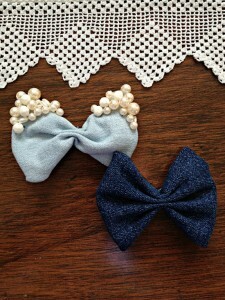 I love the beaded-pearl center, too! 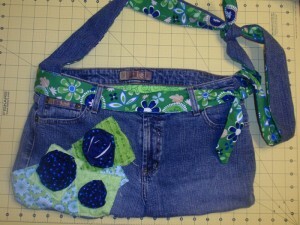 This bag requires a bit of hand stitching in addition to that done on the sewing machine. 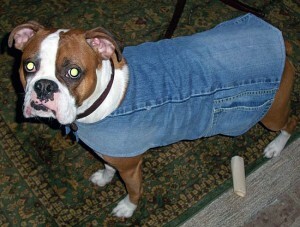 This denim project is a great one for even the novice or beginner sewer. 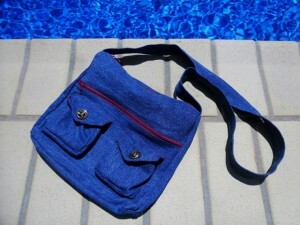 Tai has written an excellent tutorial complete with lots of detailed photos showing how she made this cute, cute bag.